Race leader in the 1000 mile race Jay Petervary is on his way to Eagle Island on the Yukon River. Racers between Ophir and Iditarod report strong winds and blown in trails, slow going. Runner Tim Hewitt has passed bikers Kyle, Adam and Troy. It's snowing in McGrath. The twins Jen and Melissa pushed their bikes into this remote town of 300 at 8 am this morning. Congratulations! Behind them on the trail remain Klaus from Austria and Thomas Keene from Tennessee. 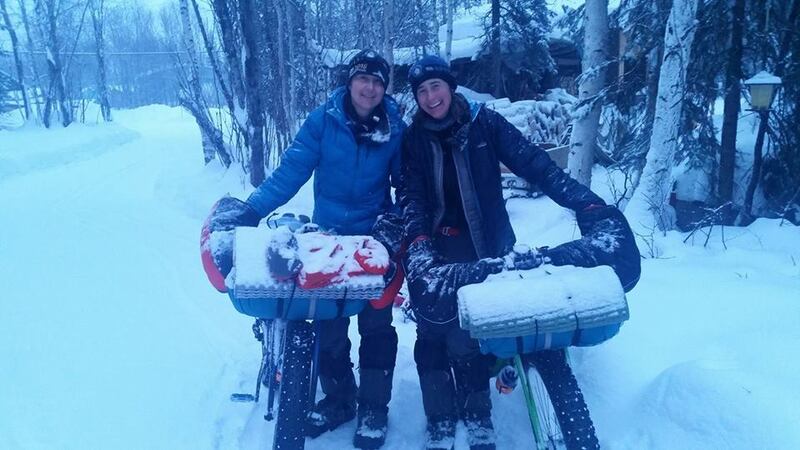 They are expecting the first mushers to arrive in Nikolai this morning.